The importance of roof vents and the ventilation they provide is often overlooked, but there are many benefits that come along with proper ventilation. A well-ventilated roof can make life easier and create a healthier environment for those living beneath it. Proper roof and attic ventilation can lower heating and cooling costs, improve interior comfort, and grant a longer life to roof shingles. In the summertime, a properly ventilated roof allows hot air in the attic to escape, reducing the demand on your air conditioning system. In the winter, ventilation combined with good attic insulation will keep the roof surface cold, so that snow won’t melt on the roof surface and then freeze to form ice dams along the eaves. Sorensen Roofing & Exteriors, G.C. installs and repairs ridge vents and other types of roof vents. We are Greeley’s expert roofing contractors for roofing solutions that include roof repair, roof replacement, and more. Contact us for a free quote for ridge vent installation in Denver, Colorado Springs, Littleton, Aurora, Arvada, and throughout Colorado and Wyoming. Installed along the roof peak, ridge vents are probably the most important vents in any “passive,” or non-electric, roof ventilation system. Hot air that accumulates inside the attic rises by convection and escapes outside through ridge vents. As hot air escapes, fresh outside air is drawn into the attic through soffit vents, which are found on the underside of roof overhangs. On an asphalt shingle roof, ridge vents are usually covered by a layer of shingles. The warmest air in the attic rises naturally to the roof peak and escapes outside through the ridge vents. Not always easy to see, the openings for a ridge vent are the continuous space on either side of the ridge cap. Soffit vents run parallel to the eaves along the soffit. These vents work with ridge and gable vents to promote good roof ventilation. Installed along the eaves of the roof, these vents are usually in the form of grilles that run the length of each soffit. Soffit vents may run continuously under eaves, or rectangular or circular vents may be installed in soffits when a continuous strip-type vent is omitted. Installed near the peak of a gable end, this screened vent can allow hot air to leave the attic or fresh air to enter, depending on prevailing breezes and temperature conditions. If attic airflow is insufficient, your roofer may recommend a gable end vent such as the one shown. Sometimes referred to as attic fans, PAVs come in several forms. Some are designed to be mounted on the roof, while others mount in the attic floor or the gable end. All PAVs contain an electrically powered fan, usually controlled by a home interior thermostat, that exhausts hot air from the attic on hot summer days. For this reason, many home energy experts recommend passive roof ventilation over active ventilation with a PAV. After addressing ridge and soffit roof vents, a PAV can be installed as a last resort to cool your attic. Some electrically powered roof vents don’t need to be connected to your wiring system. Instead, power is supplied by a small solar photovoltaic (PV) panel mounted on the vent. These units are designed to be mounted on the sloped section of the roof. The solar panel must be able to receive direct sunlight, which is exceptionally easy to accommodate on a Colorado home. While a solar-powered roof vent saves money by utilizing “free” electricity from the sun, it won’t operate at night or anytime that sunlight isn’t available. Slant-back roof vents offer superior versatility because they can be installed on any roof pitch. They are ideal for preventing water infiltration, blocking leaves and other debris from entering the attic, and keeping out rodents and insects. The slanted design of the vent allows for maximum airflow to help remove excess heat and moisture from the attic while providing exceptional weather protection. While other vents operate almost in the same manner, slant-back vents are a popular choice for their durability. Many leading manufacturers offer slant back roof vents made from strong materials, including aluminum and galvanized steel. If your roof is not well-ventilated, ask a roofing contractor about improving roof ventilation with ridge, soffit, or gable-end vents. All of these roof vents can easily be installed in an existing roof, or when your roofing is being replaced. The roofing specialists at Sorensen Roofing & Exteriors can help you choose the right type of roof vents for your home to help you gain a properly-balanced attic ventilation system. Get a free estimate to repair or install roof vents and improve your attic ventilation. Our professional roofing services are available throughout Greeley and the Front Range, including Denver, Colorado Springs, Littleton, Aurora, Arvada, and nearby areas. 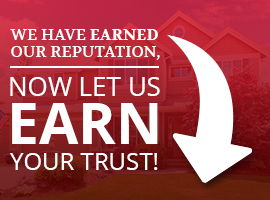 Call us at (970) 251-0911 to get free estimate for all of your roofing needs.